Hi. I’m Matt Frentheway with Aspen Appraisal Group. I’ve been appraising since 2004 in Northern Utah and I’m a Certified Residential Appraiser. The purpose of this video today is to talk about some of the common misconceptions that people have in our local market when they base the value of properties on the price per square foot basis, when they’re looking at the local MLS system. There are a lot of MLSs in the nation and there’s three or four in Utah. The one I’m referring to today is the Wasatch Front MLS, otherwise known as the WFR MLS and that’s the MLS that we use in the Greater Salt Lake Area. Our local MLS calculates the price per square foot on properties based on what the property sold for divided by how many total square feet are in the house. Or its calculated by taking the current listing price – if the property hasn’t sold yet – divided by the total square footage of the house. Basing the price per square foot on the MLS is not accurate for a few different reasons. The first one is that it doesn’t account for finished vs unfinished basements. That price per square foot, we find out in the MLS, includes unfinished basements as well as finished basements and finished basements typically in our area are worth more than properties of the same size with unfinished basements. Another thing it doesn’t account for is difference in site size. There are a lot of properties here in our area that have different lot sizes and that price per square foot we find in the MLS doesn’t account for the lot size differences which could be significant. Another thing is it doesn’t account for garage size differences. Most homes in the area are two car or three car garages, but that price per square foot we find in the MLS doesn’t account for the differences in garage sizes and that can be a big valuation difference. And then the last thing the MLS is short on accounting for is that it doesn’t account for bedroom and bathroom count differences. Some homes have more bedrooms than others, but if you compare the two based on square foot only and the price per square foot you’re not getting the difference in bedroom and bathroom count, which can be significant, especially in our area. There are a lot of families looking for more bedroom counts than less bedroom counts in most cases. Now I’m going to give you an example of a local price per square foot listing in our area. This is a property that sold for $640,000 and it has 4,218 square feet. The price per square foot the MLS shows is $149 square foot. If you take a look at where we’re at and how much of the basement is finished it says 99%. It says it has a four car garage, it’s on a third of an acre roughly, and it has five bedrooms and four bathrooms. But you’ll see just by taking absolute value of 4,218 square feet divided into the sale price $640,000 that yields $149 per square foot. To summarize what I just talked about, I talked about some of the common misconceptions that we find in our area and that is basing the valuation of properties on a price per square foot found in the MLS and identified reasons why that’s not always accurate. Again, this is Matt Frentheway with Aspen Appraisal Group located in Northern Utah. If you need an appraisal or if you have questions about appraisals, please give us a call and we’ll give you a free consultation. Our number is 801-260-2828 and I hope you have a great day. Matt Frentheway takes a look at the Wasatch Front MLS (WFR MLS) and explains four common misconceptions about price per square foot. He touches on finished and unfinished basements, differences in lot size, garage size, and bedroom / bathroom count. http://www.AspenAppraising.com. 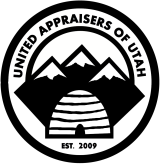 Aspen Appraisal Group provides quality appraisals in the following counties in Utah: Salt Lake, Davis, Summit, Wasatch, and Utah. Our goal is to help people solve their Real Estate valuation issues with a smile. For a free consultation, give us a call!